Check us out on Facebook or Instagram today! Check out more events and programs on our Events Page, Children’s Page or the Teen page. Look for a list of SCORE workshops on the Events Page. ResearchItCT is a free information service from the Connecticut State Library. You can find periodical, journal, and newspaper articles and many other resources here. FindItCT is a free service, from the Connecticut State Library. You can local materials throughout the various libraries in Connecticut. Please note, the feature to request items from other libraries is yet to be available. However, you can fill out this form and we will get it for you. 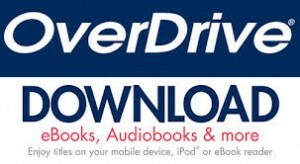 Overdrive and RBDigital give you access to free e-books, e-audiobooks, and e-magazines. Learn a new language with Mango Languages. Free to all Westbrook patrons. Sign up today! More resources can be found on our resources page.